Many recent reports have called for the development of professional skills as part of a quality undergraduate experience to better prepare college graduates to enter the workforce; this preparation requires more explicit assessment of these skills in chemistry and other STEM fields. While professional skills may be part of programmatic goals, the development and assessment of these skills must largely take place as part of course experiences. However, skill development remains an implicit component of coursework that is not addressed in a meaningful way due to a lack of tools and strategies for assessing skill development and providing feedback to students. To address this need, rubrics were developed as part of the Enhancing Learning by Improving Process Skills in STEM (ELIPSS) Project to assess evidence of information processing, critical thinking, problem solving, communication, teamwork, management, and metacognition skills in student written work and group interactions. Here, we report a broad overview of how the rubrics have been implemented in multiple learning environments including detailed descriptions of two case studies. Results from faculty surveys and analysis of these case studies indicate that instructors have changed their curricula to include more explicit assessment of professional skills using a variety of instructional practices. Interviews with teaching assistants and students indicate that while the teaching assistants obtained a clearer understanding of how to assess professional skills in both written work and group interactions, the students continue to need more specific feedback in order to improve their skills. This work was supported in part by the National Science Foundation under collaborative grants #1524399, #1524936, and #1524965. Any opinions, findings, and conclusions or recommendations expressed in this material are those of the authors and do not necessarily reflect the views of the National Science Foundation. We thank members of our Primary Collaboration Team and Implementation Cohorts for collecting and sharing data. We also thank all the students who have allowed us to examine their work and provided feedback. ABET Engineering Accreditation Commission. (2016). Criteria for accrediting engineering programs. http://www.abet.org/accreditation/accreditation-criteria/criteria-for-accrediting-engineering-programs-2016-2017/. Accessed February 2017. American Chemical Society Committee on Professional Training. (2015). 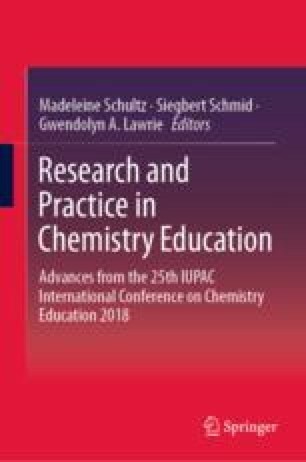 Undergraduate professional education in chemistry: ACS guidelines and evaluation procedures for bachelor’s degree programs. Washington, DC: American Chemical Society. https://www.acs.org/content/dam/acsorg/about/governance/committees/training/2015-acs-guidelines-for-bachelors-degree-programs.pdf. Accessed December 2018. Association of American Colleges & Universities. (2010). VALUE rubric development project. https://www.aacu.org/value/rubrics. Accessed February 2017. Cole, R., Lantz, J., & Ruder, S. (2016). ELIPSS: Enhancing Learning by Improving Process Skills in STEM. http://elipss.com/. Accessed February 2017. Hanson, S., & Overton, T. (2010). Skills required by chemistry graduates and their development in degree programmes. Higher Education Academy, UK Physical Sciences Centre. http://www.rsc.org/learn-chemistry/resources/business-skills-and-commercial-awareness-for-chemists/docs/skillsdoc1.pdf. Accessed December 2018. Hart Research Associates. (2015). Falling short? College learning and career success. https://www.aacu.org/sites/default/files/files/LEAP/2015employerstudentsurvey.pdf. Accessed December 2018. Hart Research Associates. (2018). Fulfilling the American dream: Liberal education and the future of work (p. 21). https://www.aacu.org/sites/default/files/files/LEAP/2018EmployerResearchReport.pdf. Accessed December 2018. The Royal Society. (2014). Vision for science and mathematics education. London: The Royal Society Science Policy Centre. https://royalsociety.org/~/media/education/policy/vision/reports/vision-full-report-20140625.pdf. Accessed December 2018.